Trophic cascades are said to occur when a top tier predator (such as a wolf) impacts a particular ecosystem by suppressing the abundance of prey or otherwise influences the distribution or behavior of other species, including non-prey animals, other large predators, and plant species. Introducing or removing a so-called “top-tier” predator from any habitat obviously brings about changes to that habitat. Such effects can be measured, quantified, even predicted. The issue of whether or not such changes to the habitat are “good” or “beneficial” or even “necessary” is a matter of conjecture, an arbitrary judgment based solely on one’s value system. L. David Mech, USGS wolf biologist, has gone on record favoring wolf re-colonization into all of their former range across the United States. Over the years, Mech has been at the forefront promoting the benefits of wolves on the environment while minimizing or completely ignoring the negative consequences wolves have on other species, including humans. Thanks to government instituted protectionist policies built at least in part on Mech’s research, transplanted Canadian wolves have proliferated beyond Yellowstone National Park and Central Idaho into most of our western states. Montana, Idaho and Wyoming now have so many wolves that extremely liberal hunting and trapping quotas are in place in a vain attempt at “managing” their numbers. Wolves have recently been sighted in such unlikely places as Kansas and Illinois. The wanderings of Or-7, a lone male wolf who came from the infamous cattle eating Imnaha Pack in Oregon, made the national news as he crossed into California last year. That state has now begun formulating its own official Wolf Recovery Plan. Since wolves have successfully re-colonized large portions of the United States, Mech has begun rethinking his whole stance on “trophic cascade” theory and the beneficial impacts wolves have on an ecosystem. In an article entitled, “Is science in danger of sanctifying the wolf?” (click to access PDF) published in the journal of Biological Conservation, Mech not only questions many of the popular tenants of “trophic cascade” theory, but points out the danger of making natural resource decisions based on popular opinion or faulty perceptions. While Mech has been one of the leaders in promoting wolf recovery, he now warns that the preponderance of positive, and in some cases faulty scientific studies and mass media marketing, have contributed to a distorted view of the wolf and its impact on the environment. 1. Were the predicted beneficial effects wolves were supposed to have on the environment purposefully over stated in order to achieve some political goal or radical environmental agenda? 2. Were the negative consequences of wolf re-colonization played down for the same unscientific reasons? The answer to both questions, of course, is a resounding yes, as I have documented in numerous articles posted previously and archived on this blog. Game managers and politicians continue to claim that “trophic cascade” impacts are “good” for other species and the environment, yet here is an example of what can best be described as collateral damage to another large predator species that, although predictable, has been intentionally ignored. How can game managers act as if the rapid decline in the elk population as well as the movement of bears and their increasingly aggressive behavior towards humans as they search outside of the park boundaries for alternative food sources is unrelated to an over abundance of wolves? Meanwhile, politicians and game managers note the regrettable, but unavoidable impact of wolves on livestock owners and sportsmen. They continue to be guided by pseudo-scientific “trophic cascade” myths about the beneficial aspects of wolves on the environment. The purpose in life for most politicians seems to be how to get re-elected by sitting on the fence and talking out of both sides of their mouths while mitigating conflicts rather than solving problems. Millions of sportsmen, livestock owners, and concerned citizens are fed up watching helplessly as the “trophic cascade” effects of wolf re-colonization devastates our ungulate herds and threatens our rural economies and western heritage. Informed citizens and groups are standing up and crying “FOUL!” Politicians and game managers, and even wolf biologists like Mech, are beginning to backtrack on their previous positions as they begin to feel the heat. Many have come to the realization that all is not well in Narnia. Let’s hope it’s not too late to reverse course. ECO-FANATICS – Why do they hate us? Of course I do not agree with much of what you have written as it is nothing but regurgitation of the false claims of the pro-wolf lobby which seeks to downplay, at all costs it seems, the incredible impact wolves have on a given habitat. I never said Trophic Cascade Theory was a “myth”, what I said was that calling the effects of a top tier predator such as the wolf “good” or “beneficial” or even “necessary” is based on a value judgment, not science. I will dismiss the allusion to “climactic factors” as patently absurd, and concentrate instead on your false assumption that the Yellowstone fires of 1988 were “devastating” to the grizzly bear or ungulate populations, or even for the bird populations. That particular year fires burned large portions of high fuel laden insect infested timber that had been allowed to degrade over decades of NPS mismanagement and over zealous fire suppression. Again, in describing the fires, you use a word that reveals a value judgment, “devastating”. The result of those large scale fires (which many of us predicted were inevitable back in 1977 based on U.S. Forest Service observations), were a virtual explosion in available wildlife habitat, forage plants and a net increase in the large ungulate population numbers of YNP well into the 1990’s. 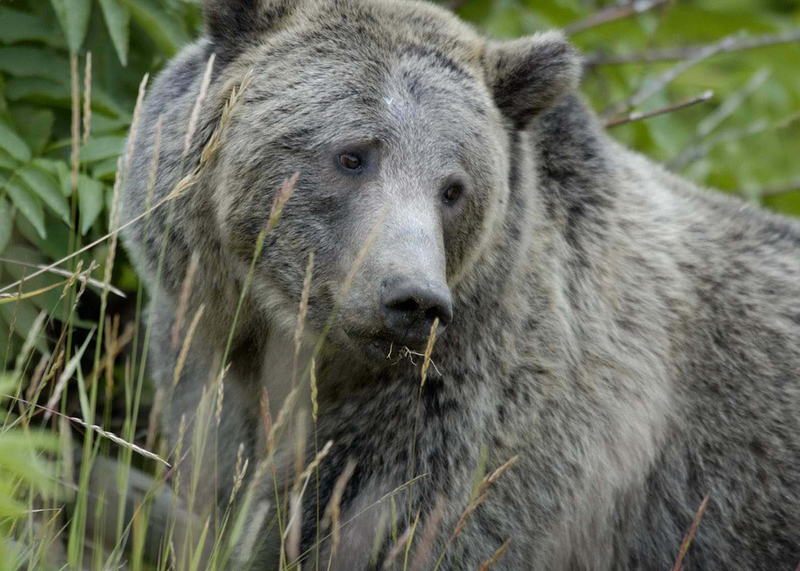 Those fires in no way degraded grizzly bear habitat or negatively affected bear numbers. On the contrary, those fires enhanced the habitat for many species of concern. Using one false presupposition to build upon another to create an erroneous view of reality to support a particular worldview is not science. Those techniques are employed by proponents of the recently created pseudo-science called “conservation biology”, of which Mech was an early advocate. Next, you quote Mech where he says, “Because wolf populations will almost always be managed outside of National Parks (Mech, 1995; Fritts et al., 2003; Boitani, 2003), their densities will probably never consistently reach the densities of wolves in National Parks…” Notice Mech is quoting himself as an “authority” here. Of course he’s been proven wrong and retracted much of his earlier work, so quoting himself in follow up piece he writes means very little. Wolves are in fact leaving YNP as prey stocks in that area have been seriously depleted. Wolf densities outside of YNP have already proven to be equal to or higher in many areas than they are inside of YNP. We simply cannot kill or trap wolves fast enough in Montana, Idaho, or E. Washington to keep up with their reproductive rates and consumption of limited game species. And yes, I will make a value judgment here and say that wolves are “devastating” to non-migratory game species. Wolves have never been endangered and are in fact spreading rapidly to other states, as well as most of W. Europe and the former Soviet Union. Wolves follow a natural cycle of depleting their favorite food resource in one area, seek alternative prey, then when the available prey base is exhausted they move on. Wolves never stop reproducing, never stop expanding their range, and almost never starve. The do become increasingly subject to their own wolf borne diseases and predatory instincts however. Only humans can effectively control the wolf population. Wolves were removed for a reason and now that they are back has ruined years of Elk and Deer herd growth in the Rocky Mountain states, when the prey base is gone then livestock and pets will suffer as well as the habitat, you cannot manage wildlife by emotions, The wolves that were transplanted from Canada at a cost of 8 million dollars and Alaska would have given the wolves to the lower 48, I say kill them all and send the bunny huggers with them. L. David Mech admits that he began his career lying about wolves. Mech now admits that the species was never “endangered”, and never will be. How is it that he is still considered a “credible” witness? “My book The Wolf: The Ecology and Behavior of an Endangered Species ended by saying, “The wolf haters must be outnumbered. They must be outshouted, outfinanced and outvoted” (Mech 1970). Major study confirms what I said. The “assumption of reciprocity” is a crucial (but largely untested) component of large carnivore restoration plans. Reintroducing and removing apex predators does not consistently affect trophic groups other than mesopredators. Outcomes of apex predator reintroduction and removal are variable across systems, regardless of system complexity. Current evidence does not support the assumption of reciprocity, but further evidence is needed.